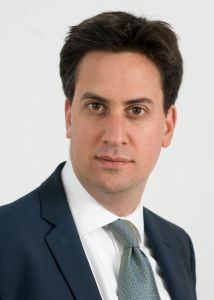 Below is the text of the speech made by the Leader of the Opposition, Ed Miliband, to the 2013 Scottish Labour Party conference, held on 19th April 2013. And Margaret Curran, our great Shadow Secretary of State for Scotland. And let us also pay a special thank you to Alistair Darling for leading the Better Together campaign to keep Scotland in the United Kingdom. The reality is this, only Labour can build a new settlement. How do they offer to turn our economy around? But let’s call it what it is: it is the iniquitous bedroom tax. We have a huge challenge to rise to. We do that with a simple idea, idea that expresses who we are as a party: that we need a recovery made by the many and not just a few at the top. And we won’t have a recovery made by the many if family budgets are just squeezed year on year on year. That’s why if we were in government now we would cancel the millionaires’ tax cut, and protect the tax credits that make work pay. He said thanks to Lady Thatcher we got a Scottish Parliament. He claims he opposes the Tories but he wants them to succeed.